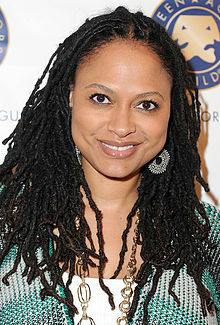 Until a couple of weeks ago the name Ava DuVernay was unknown to me. I got to know her as I watched a talk show by Charlie Ross of Bloomberg TV. She was invited as the director of the film Selma. According to thedissolve.com, Ava DuVernay wasn’t the first choice to direct Selma, a portrait of Martin Luther King Jr. and the events leading up to his five-day Freedom March from Selma to Montgomery. She wasn’t the second, third, or fourth choice, either. The most recent was Lee Daniels, who had the wisdom to cast David Oyelowo as Dr. King, but eventually opted out himself. DuVernay only came into the picture after Oyelowo, who had a supporting role in her 2012 Sundance favorite Middle Of Nowhere, lobbied on her behalf, convincing producers that she could make the leap from a $200,000 independent film to a $20 million studio production. Treat everybody who is working with you at any level of the business – be it parallel, below or above you- with respect. You cannot know or even dream about circumstances that might cause one of them to talk about you. And the result might have a big influence on how your life will flow from then on. Selma had four Golden Globe Award nominations, including Best Motion Picture – Drama, Best Director, and Best Actor, and Best Original Song. It was also nominated for Best Picture and Best Original Song at the 87th Academy Awards.